I was really excited about Midnight in Austenland because ever since reading the first book, Austenland, I had been dying for more set in this wonderful place. I had also been hoping to hear more about Jane and the gentleman I can't remember the name of for some reason and if their happily ever after had lasted, but alas, we can't have it all. 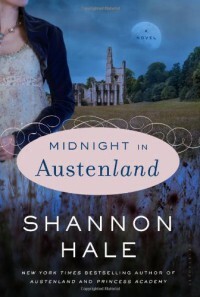 I'm sorry to say that after reading Midnight in Austenland, I have to admit to liking Austenland better. It was a bit happier and more romancy than this one was and it worked better for me. But I did enjoy Midnight in Austenland as well! It just felt slightly darker and definitely more mature, which isn't a bad thing at all. I really, REALLY liked Charlotte, she's been really hurt by her ex-husband and has put all her emotions away in order to deal with it. I liked how throughout Midnight in Austenland she realised just how much she had been hurt and how much of a scumbag her ex-husband actually was. I mean, seriously, I would have unmuzzled my lawyer and get every cent back if I'd been her, after kicking him in a sensitive place of course. Seriously, that guy was a first-class douchebag. Anyway, Charlotte was curious and took action when needed and she was just really nice. And a true mama bear, which made me like her even more! 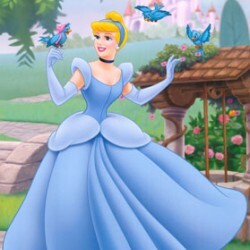 The only thing that annoyed me were her constant conversation with her 'Inner Thoughts'. I mean, sure, I never have conversations with myself, but maybe some people do, but it was just a bit overdone and detracted from the story in my opinion. The romance was sweet, even though I wasn't really feeling it. But the guy was nice (don't want to spoil anything by telling his name) and funny, I'd just really wanted to fall in love along with Charlotte and that didn't happen. I did love that near the end he shows that he's gotten to know her really well in the space of two weeks. The dead body in the secret attic room thing didn't really work for me. It was rather convenient sometimes how Charlotte figured it all out and it felt a bit like a mad chase. It definitely added a darkness to it I hadn't been expecting. I did really enjoy Midnight in Austenland, but I liked Austenland better and actually feel the urge to re-read that now. If you're into murder mystery/romance this will probably work better for you than it did for me, as I'm more a lover of straight up romance.